What do you think is the #1 skill your child needs to Succeed in life? Is it about scoring high marks? Or do you believe it’s got something to do with Confidence? We all want to raise confident, successful and happy kids, but do we understand what confidence really is when we’re busy trying to build theirs? Confidence stems from childhood. And it’s much more crucial that confidence is built at a young age than at a later stage because it sets the foundation for how a person grows and what they grow to be. We spoke to Vidya Ragu, psychologist, learning, and development specialist from Chennai, and she’s shared (read below) some really cool pointers on the A-Z of building self-confidence in children – and not to forget, an uber-cool magic tool as well! If your child doesn’t like interacting with guests or shies away from them, it doesn’t mean they are not confident. If your child hesitates to go on stage to talk in front of a crowd, it doesn’t mean they are not confident. If your child isn’t doing something that everyone else is doing, it doesn’t mean they are not confident. The reason is, we are all wired differently. Our personalities are different and so are our inclinations. These choices and behaviours come and go as phases in your child’s life. Your child who shies away from the stage today might walk onto the podium and deliver a speech by Abraham Lincoln with utmost determination tomorrow. So what is Confidence then? 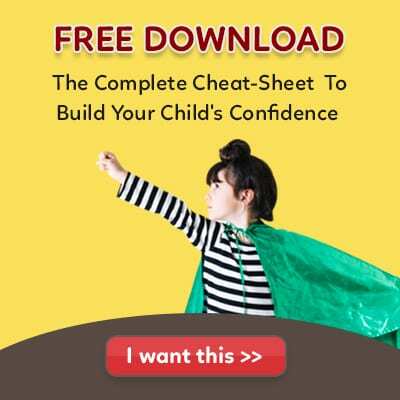 Confidence is directly linked to the self-esteem and self-image of your child. 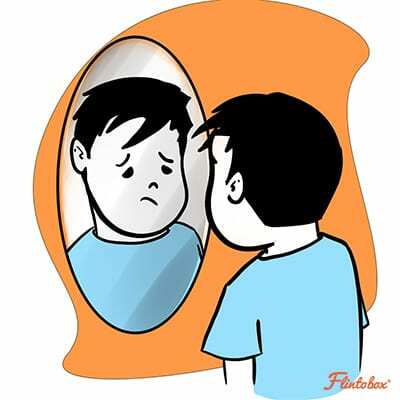 When your child looks into the mirror, does he love and accept himself? I CAN? Or I CAN’T? Whenever your child is dealing with real-life situations, does he/she hear more I CANs or I CAN’Ts? As parents, we need to identify what direction our children are moving towards — the I CAN path or the I CAN’T path. By doing this and by pushing them onto the I CAN path, we are making them more ‘able’ to face life’s many challenges. Every time your child improves his/her skills, and they know (through feedback) that they’ve improved their skills, they become more confident. When your child does a job really well, we appreciate them, but leave it at that. Next time, try this – go one step further and ask them questions about how they did the job. Ex: If your child coloured a mango, ask them about how they chose the colours or how they coloured within the border. This will make them self-reflect and gain a better understanding. You can add incentives or change the approach altogether to make tasks more exciting for your child. And don’t forget the most important part – give genuine feedback! If your child has done a good job, appreciate it. But if they haven’t, then push them to make them reach their potential. 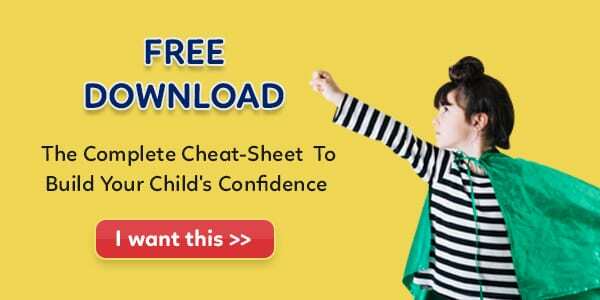 How do you shape your child’s confidence? Unfortunately, there’s no magic pill that you can embed to increase their confidence. Simply put… confidence sparks from the environment. Fun Fact: Research proves that one of the most fundamental foundations of building a child’s confidence is – his/her ‘parents’. Children are constantly observing. What you speak to them and how you speak to them becomes their driving force as they grow up. 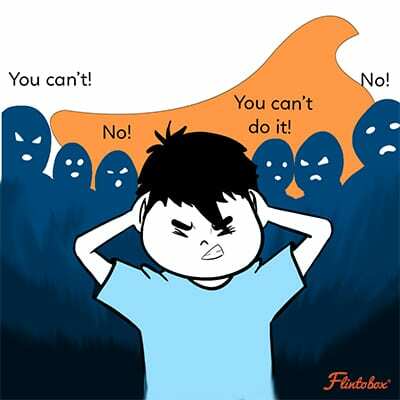 So if you shout, scold, say more NO’s, or reprimand them all the time… or even if you as a parent are constantly saying ‘I CAN’T’ to yourself and your child hears you, it impacts and influences their thinking. So it’s important to analyse what kind of environment you are setting. When your child is unable to do something, it’s important that you not just address the fact that they can’t do it, but also guide them on how they can do it. Empower your child by teaching them! The good news is, you can reduce the can’ts while you interact with your child. The bad news is, there are many others in the environment who are throwing Can’ts and ‘NOs’ at your child. In fact, research shows that by the time a child turns 5, they hear much more NOs and CAN’Ts than any other word! So how do you make them move from this negative zone? Be conscious as a family of the environment you are setting for your child. What you say to your child, what you speak in front of them, the tone in which you speak, every little thing matters. You may notice a pattern that you are setting that is actually pulling down their confidence. Discuss and write down these points as a family, so each of you knows where you’re stepping out of line. Learning is very important to sustain your child’s confidence in the long run. To build this desire, use conversations and confidence building activities! And instead of pushing it to your child directly, you can instigate the fire in them. Ex: when you’re driving, you can tell your child, “Oh, I wish I could drive that truck”, or “Oh, I wish I could cycle as powerfully as that girl there”. By doing this yourself, you are inspiring your child to also learn and know more. When you sit down to eat together, you can ask each other as a family, “So what did you learn today?” or “I learnt how to write my name backward. What about you?” or you can share something that you learned from the maid! These productive discussions build the desire for children to do more. Instead of just putting your child in a class, engage with them – talk to them, ask them about their skills, encourage them and appreciate them by giving your feedback. Engaging your child will also help remove their fears and increase their confidence. Rituals can really help build healthy habits. And confidence-building becomes much easier when there are rituals. Ex, since physiology plays a huge factor in a person’s confidence, in the mornings, you can encourage your child with a healthy ritual such as – to go running or walking. And as the name suggests, these are rituals and not a one-time thing. You need to actively and consistently plan these into their timetables every day. You can also make use of mind-maps to understand how you as a family are growing or where you are going. Mind-maps are, more or less, representations of what we see. Some children may not enjoy talking or expressing as much as we do, and since mind-maps is all about drawing, you’ll be able to see their raw feedback on the canvas. Caution: Children give real feedback, so be prepared 🙂 And whatever it may be, don’t reprimand your child for it. Playing games together as a family will build your child’s skills. Ex, you can build your child’s communication or expression by asking them to talk for 3-mins straight… Or you can improve their creativity by playing a story-building game. And since it’s all a game, children don’t feel the fear of being judged or tested for something. Fun Fact: The only antidote to build confidence is ‘action’. Which means, every time your child acts on something, he/she is becoming confident. So give your child more opportunities, challenges and support to build their skills, attitude, and knowledge. We’re sure this will help raise your child’s confidence level and take life head-on in a fun way! So hope you enjoyed this article. Do drop a comment below and tell us what you as a family do to improve your child’s confidence. You can also share a memory of what you did to gain confidence when you were young! Very nice article. I loved it. Thank you very much. Really glad you liked it, Kiran 🙂 Thanks a lot! Very good article. I would try things on my child.he is hiper active,he was not construction in their activities,studies, writing . Please tell me what we do ? 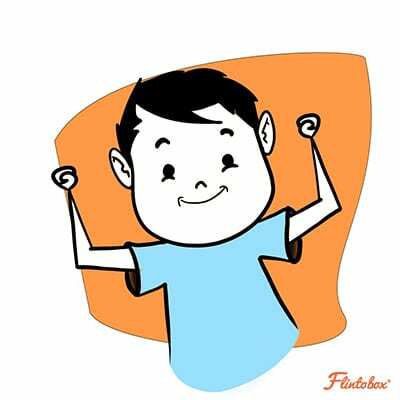 Hi Sagar, do check out this article here on Hyperactive children. We hope it helps! Article is good. 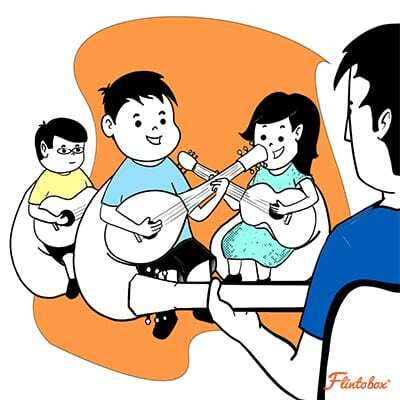 It will help parents to build confidence in their child. But I want to know when my child look into mirror he is very happy. What does it indicate. Please tell me. I am very thankful for this. Its an excellent article. I have tried all these but my son is stil stuck to tv. Interaction with your child through various games & communication is very important to build there live. Nice article.it is very useful for the parents who really wants to make their kids confident.thanks a lot. Such a nice article, clearly explains how to be the mentor / role model instead of doing the same in commanding mode. 1st to lay the ground rules and a parent to follow the same for making the kid to follow the rule more comfortably. But many of us(parents) just lay the rules or guidelines and intend(instruct) the child to follow, which is not a proper way. Amidst life’s hustle, we often leave our children to pretty much build up whatever they please. But it is us who actually know whats best for our child. And there’s no better way to do so, than to LISTEN to your child. I used to shoo him away if he used to talk continuously. But when I started hearing him through his understanding. I was amazed. He was growing so well. Now we have taken full responsibility to nurture our child & inculcate positivity in him. Very well explained ,loved the article. Yes, learning plays major role in their confidence.